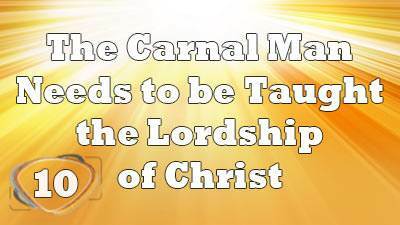 The Carnal Man needs to be taught the Lordship of Christ | Lesson 10 in series "All About Me"
God loves me and wants Jesus Christ to be Lord in my life. All Christians seem to agree that God's plan of salvation from the penalty of sin is a wonderful, wonderful thing. However, many Christians do not act as if it is because God loves them, that He wants Jesus Christ to be Lord. Salvation is wonderful; the Lordship of Christ is something else, they would lead one to believe. For this reason many who make Christ Saviour do not make Him Lord. Satan doesn't want the unsaved to become Christians, (you have to give up too much, he says), and neither does he want the Christian to allow Jesus Christ to be Lord. God may ask you to do something hard, he says. The Deceiver knows if the unsaved are not won to Christ, they will bear the penalty of sin; and if the Christian does not practice the Lordship of Christ, he will not be able to have victory over the power of sin. He will have an ineffective testimony and therefore be a hindrance to bringing others to Christ. Scripture teaches that if God's people are right before God, the unsaved will come to Christ. For there to be any great moving of God's Spirit, we need Lordship in the Body of Christ. Point #1 is that God loves us and this is the reason He wants Lordship. Self keeps Jesus Christ from being Lord. Just as sin will keep us from heaven, so Self keeps Jesus Christ from being Lord. 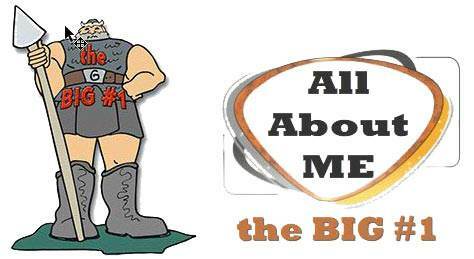 Self-centeredness is the opposite of Christ-centeredness. 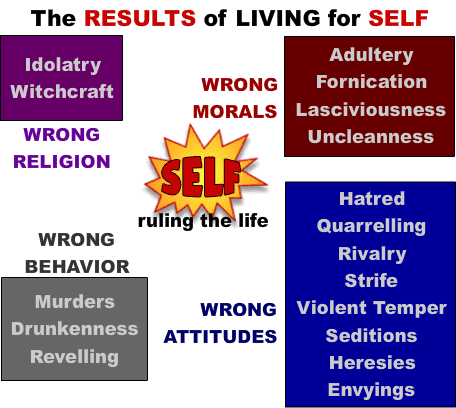 Self is the factory of sin and the Lordship of Christ is the factory of righteousness. Point #2 is that Self keeps Jesus Christ from being Lord. The difference between the Christian and the non-Christian is basically that in the one case (Christian), the Flesh is doomed to die, and in the other case (the unsaved), the Flesh lives on. Even in hell the Flesh will live on enduring punishment but nevertheless still living. The Bible says, "He that is filthy, let him be filthy still." (Revelation 22:11). One of the problems in hell will be that people will still have to live with resentment, bitterness, hatred, and self-pity, etc. On the other hand, in heaven there will be no evidence of the Flesh. This is what will make it such a beautiful place. It all happened at Calvary. When we accepted Christ, the death nails were put into our Flesh. Now the thing is to make it a reality in our lives so that the Flesh in a practical sense is dead. People should begin to see Jesus instead of Self in everything we do. Crucifixion in its simplest term is death through exposure. The idea was to put nails in each hand and foot, and take most of the clothes off. This didn't kill the person (it hurt, of course), but death came through exposure. If he hung there long enough he died. The Spirit of God is anxious to crucify the Flesh in us through exposure. He wants a willing subject; and then he speaks and exposes our wrong motives, attitudes, morals, and behaviour. We can say "Yes" or "No" to the Holy Spirit as He points these things out and fulfil Part 1 or Part 2 of the chart below. Of course, if we fail to deal with the Flesh here on earth as Christians, it will be dealt with at the Judgment Seat of Christ. (see 1 Corinthians 3:12-15 below). You and I as Christians are dying to Self. The question is, when will we see the evidence of it? Now or at the Judgment Seat of Christ? Let's get up to date with our theology. I choose to live the crucified life. God in a beautiful way leaves man with a free choice on earth. When Jesus comes again, some of our choices will be limited. The unsaved will no longer have the choice of receiving Christ, and the Christian will no longer have the choice of walking in self-will. "If anyone builds on the foundation with gold, silver, precious stones, wood, hay, or straw, each builder’s work will be plainly seen, for the Day will make it clear, because it will be revealed by fire. And the fire will test what kind of work each has done. If what someone has built survives, he will receive a reward. If someone’s work is burned up, he will suffer loss. He himself will be saved, but only as through fire." We should choose to allow the Holy Spirit, in a very practical way, to crucify the Flesh in us. He may say, "I see hatred, bitterness" or any of many other things. We need to say, "Yes, You are right." He exposes it, we confess it, and see that the root cause is the Flesh. Following through on the chart above regarding 'The Answer to the Self Life' is the answer, but it takes a decision on our part. Just as important as whether or not we become a Christian is the fourth finger in the Five Finger Facts (see the previous Lesson). So the important thing as far as the Lordship of Christ is concerned is our decision and what we do with the fourth Finger Fact (diagram at the beginning of this Lesson). Jesus Christ is being Lord, and I am being filled with the Spirit. The Lordship of Christ has to do with relationships. Who is in control? Self or Jesus Christ? Are we seeing the works of the Flesh or the fruit of the Spirit? I'm not talking about the times everything is going good, but when we have trials. The Lordship of Christ is not a once-in-a-lifetime decision but must be a daily decision, for He can be Lord one hour and not the next. However, if we would recognize and choose to follow these Five Finger Facts, Jesus Christ could be Lord in an ever-increasing way in our lives.